"Fed up with the British weather?" In case you hadn't noticed, it has not. stopped. raining. 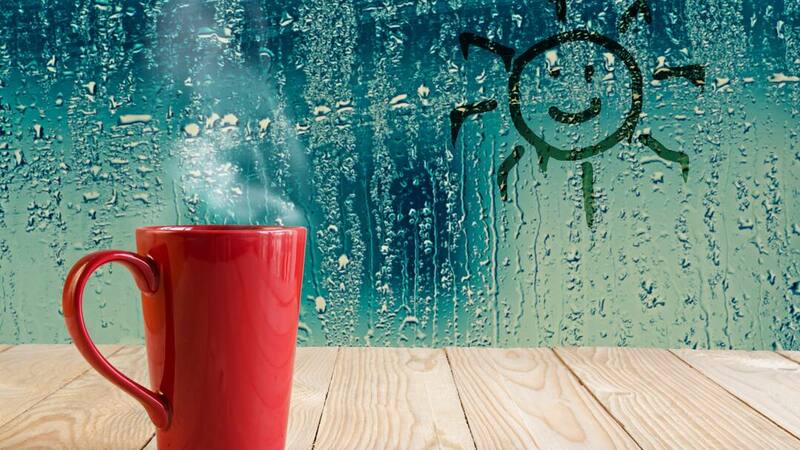 And all this rain has – unsurprisingly – resulted in the UK’s wettest June in history. That’s right, since records began in the early 1900s, there hasn’t been a June quite as wet as the one we’ve just experienced. It’s not set to get any better, either, with the Met Office expecting the conditions to continue for at least the next few weeks. And, if previous British ‘summers’ are anything to go by, it’ll be much the same after that, too. So forget picnics in the park, fish and chips at the seaside, and post-work pub garden sessions. Unless you're prepared to do it in a wetsuit and goggles. Sob. in some places. Flock to the beaches within reach of swanky Porto Cervo, like Liscia Ruja, and you’ll be in with a chance of spotting a celeb or two on the sand. The likes of Leonardo DiCaprio, Rihanna and Gwyneth Paltrow have all been known to holiday here. Or head for La Maddalena Islands and you’ll likely have a stretch of shoreline all to yourself. What rain? 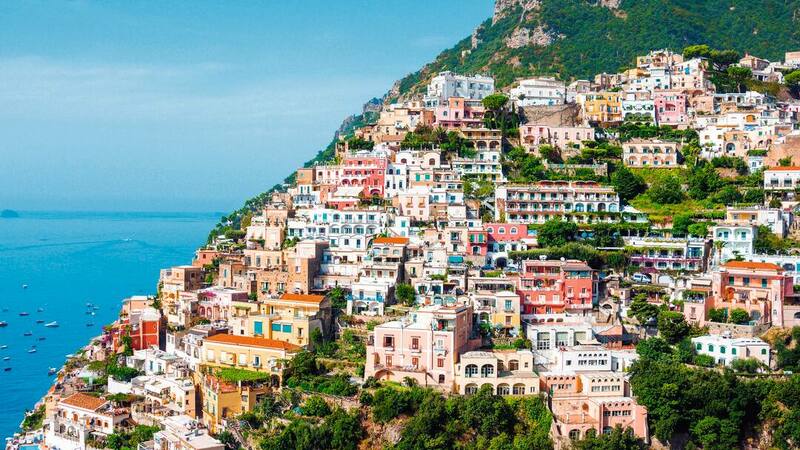 If you’d prefer to do a bit of sightseeing under the Italian sun, make a beeline for the Amalfi Coast. On this sticky-outy bit of land on ‘the boot’s’ southwest, you’ll be able to pair the warm weather with bubble gum-coloured towns scattered down hillsides, the ancient ruins of Pompeii, and natural wonders, like Mount Vesuvius. If that doesn’t convince you enough, nearby Naples is thought to be the place where pizza was invented, so you can guarantee they’ve got it down to a T. And you can follow your meal with Limoncello squeezed from freshly-picked lemons. Yum. Like the sound of that? Check out this guide to Italian aperitivos. 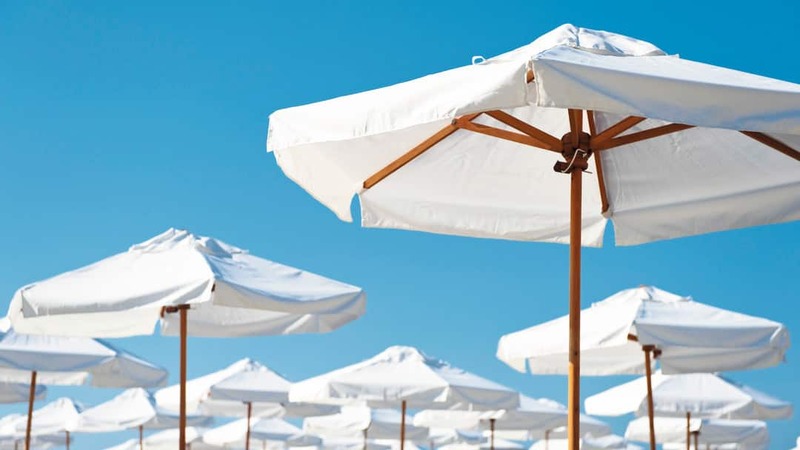 Southern Portugal – aka the Algarve – is another region that’s lucky enough to be expecting some decent sun this summer. With a coastline that unravels for over 150 kilometres, you won’t struggle to find somewhere to work on your tan, either. Beaches here come in all different shapes and sizes. Whether you want a long and wide stretch that’s all geared up for families with waterslides and rollercoasters nearby, or a secluded cove you can have pretty much have all to yourself – it’s all here. 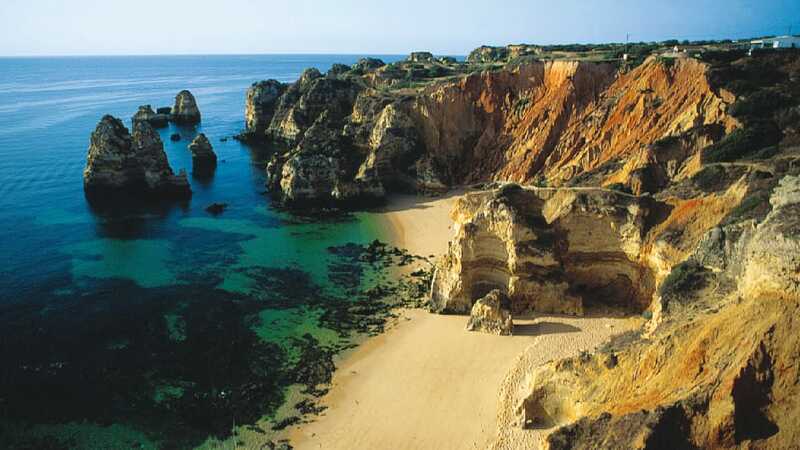 Find out more about what you could be getting up to in the Algarve. This Bulgarian favourite boasts eight-kilometres’ worth of coastline for sunbathing on. And it majors in all the other holiday essentials, too. Restaurants line the waterfront, ticking off everything from Indian curry houses to pubs that serve up a mean mixed grill. And on the bar side of things, you’ve got the likes of laid-back cocktail lounges, live music venues and neon-lit dancefloors where you can party the night away. As for daytrips, the UNESCO-listed old town of Nessebar is just 15 minutes’ drive down the road. Here, you can stroll around chunky fortress walls, crumbling ruins and time-forgotten churches, before stopping off for an ice cream at the harbour. As the largest of the Greek islands, Crete boasts a whopping 650 kilometres’ worth of coastline, and many of the beaches fly a Blue Flag, too. 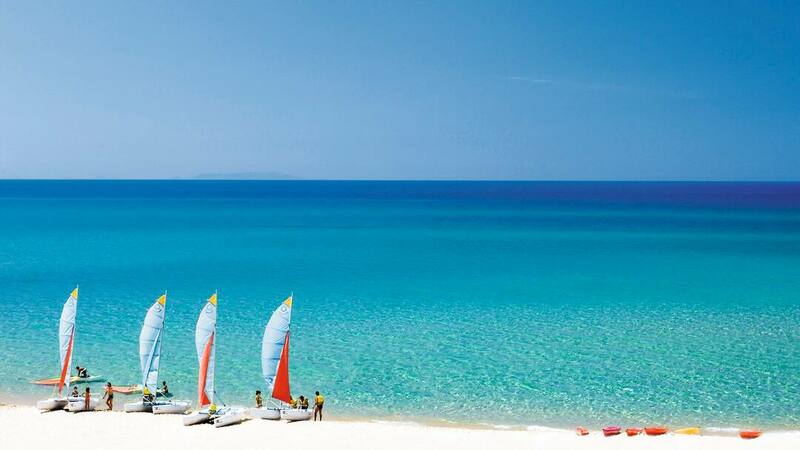 Take the shoreline around Chania, which is peppered with white-sand stretches lapped by sparkling, turquoise waters. Holiday here and you’ll also have the historical old town to explore, complete with its pretty Venetian harbour, maze-like alleyways and age-old churches. Nightlife is something else that Crete does well. Over in Heraklion, the streets are brimming with enough pubs, bars and nightclubs to keep you going until dawn. The only umbrella you’ll need here is a cocktail one. Hop just a couple of islands along from Crete, and Rhodes is another place that ticks a lot of boxes. Not only does it offer up scorching temperatures, there’s a mixed bag of beaches, history and nightlife to dip into as well. Rhodes Town, the island’s capital, combines all three. On the waterfront, you’ll find a 400-metre-long strip of golden sand, where beach bars, restaurants and watersports are part of the package. If you fancy getting wet – minus the rain – you can even throw yourself off a giant diving board in the sea. Inland, it’s the UNESCO-listed old town that gets people talking. By day, you can tour the monuments left behind by the Knights of St John, like the Medieval palace and the hospital. Evenings are given over to the tavernas and bars that serve Greek favourites, like moussaka and kebabs, washed down with shots of raki. Have a look at the other dishes Greece excels in. 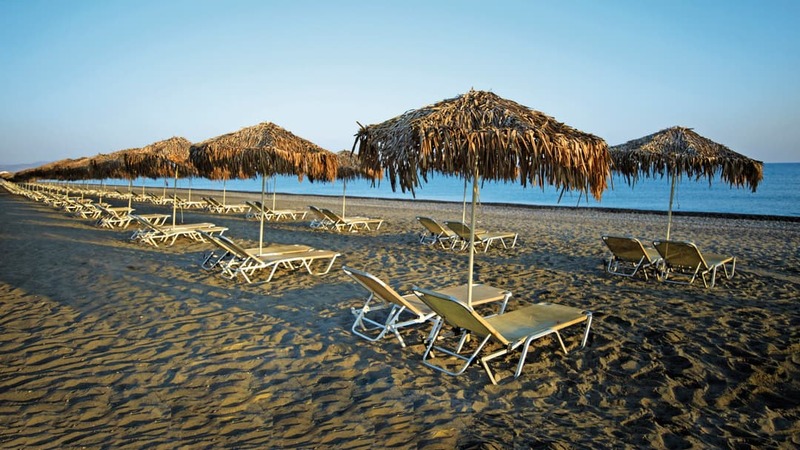 Just like Greece, Cyprus also basks in soaring temperatures throughout the summer. Better still, this island average ZERO days of rain in July. That’s not the only reason it’s been popular with holidaymakers for decades. The Larnaca region, on the east coast, is home to Protaras. With shallow waters lined by honey-coloured sands and family-friendly restaurants, this place is ideal if you’ve got little ones in tow. Ayia Napa, meanwhile, has a long-standing reputation for its fully-charged nightlife, with the Castle Club and Soho pulling in the crowds on a nightly basis. Just 10 minutes down the road, Nissi Beach draws together a first-class beach, traditional tavernas and a supersized waterpark. Ready for some summer sun? Browse all of our last-minute holidays. 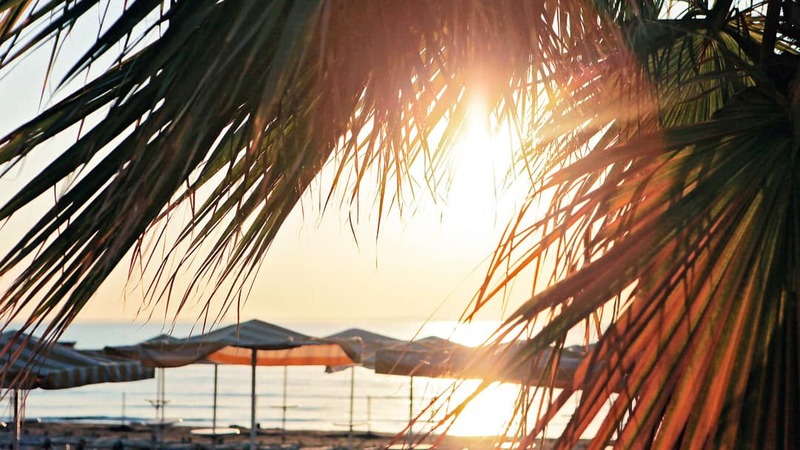 , in Bulgaria’s Sunny Beach, is in a prime position for getting out and about, with both the beach and town centre nearby. The Anais Bay Hotel and Apartments, in Cyprus' Protaras, prides itself on its home cooking and peaceful pool scene. The beach is only a minute away, too. Hotel Girasole is a family-run property in Italy's Sorrento. There's a quiet pool area fringed by orange trees, plus a terrace for al fresco breakfasts.